Is your LinkedIn profile getting noticed? Are you leveraging its power? LinkedIn is the world’s largest professional network on the Web with over 546 million members in greater than 200 countries and growing at the rate of two new members per second. Recruiters, companies, hiring managers and organizations are increasingly turning to LinkedIn to post jobs and identify top talent. Colin Moor, Partner at Essex Partners has more than 15 years'experience as a career management consultant providing considerable expertise advising clients on career transition, career management, and executive coaching. 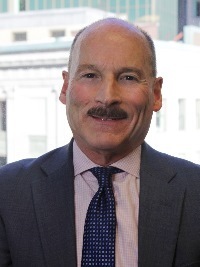 Before joining Essex, Colin was a Senior Vice President with Keystone Associates where he advised senior level executives in the planning and execution of successful career transitions, entrepreneurial ventures, and portfolio models that successfully balanced an array ofwork/life priorities. 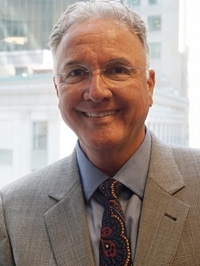 Mark Newall, Partner at Essex Partners has more than 25 years of career management, professional development and human resources experience working with law firms, professional services firms and high-tech organizations. At Essex Partners, Mark works with executives across industries including financial services, private equity, life sciences and biotechnology. Parking: The closest MIT parking lot is the Hermann Garage. When you turn into the E62 parking lot from Wadsworth Street, the garage is the very first right. It is a small garage without a gate, is directly under the library. Another option is the Amherst Street/E51 lot. These parking lots are free after 5pm. The closest public paking is Kendall Center Green Garage, next to the Marriott Hotel. The entrance is 90 Broadway Street. For other suggesions, click here.